I have a weak gull bladder so I decided to drain my urge today with a scan through any flocks I could come across. 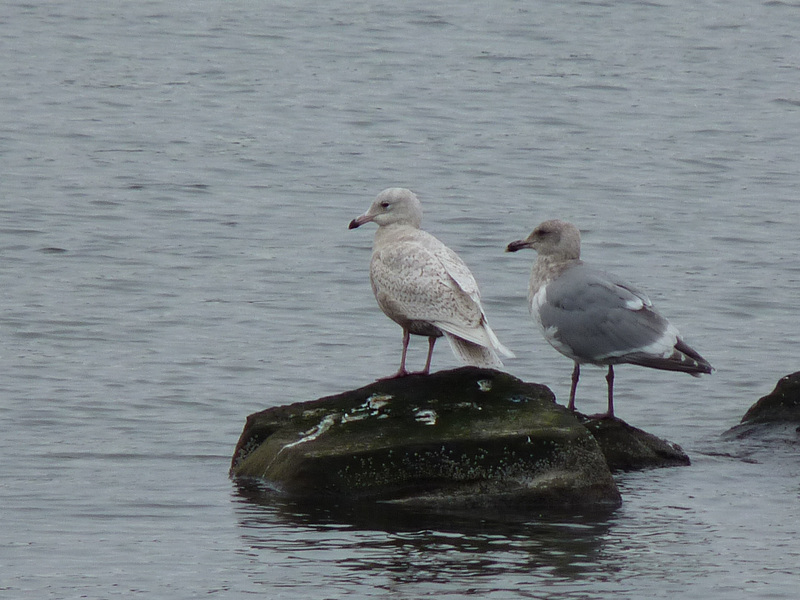 Over the last week, a Glaucous Gull (Larus hyperboreus) has been sighted among the usual Mew (L. canus), Thayer's (L. thayeri), American Herring (L. smithsonianus), and Glaucous-winged Gulls (L. glaucescens) on the Saanich Peninsula. 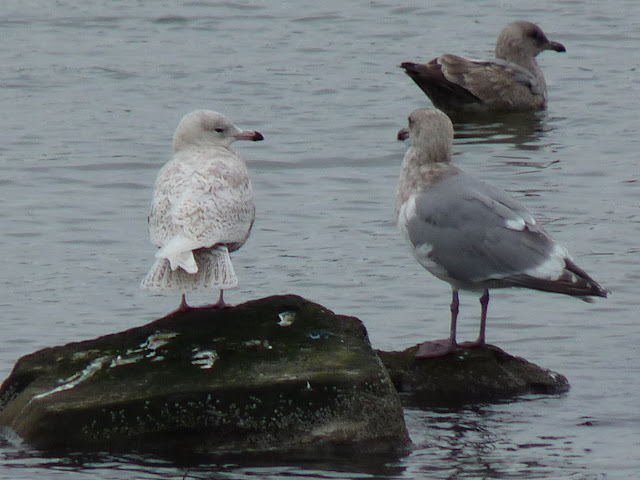 Glaucous Gulls are an expected but scarce winter bird on southern Vancouver Island, with only a few records occurring in a typical winter. As the etymology of 'hyperboreus' implies, they come "from the north" after breeding in the high arctic. The sighting gave my gull bladder the sweet relief I needed. I'm sure I'll have to go again by midweek, so I may sneak back down to Patricia Bay and try to relocate the bird or perhaps something rarer from the dark-backed end of the spectrum. Fingers crossed!